Classified » Sound & Vision » Others » Looking to revamp your office? Looking to revamp your office? 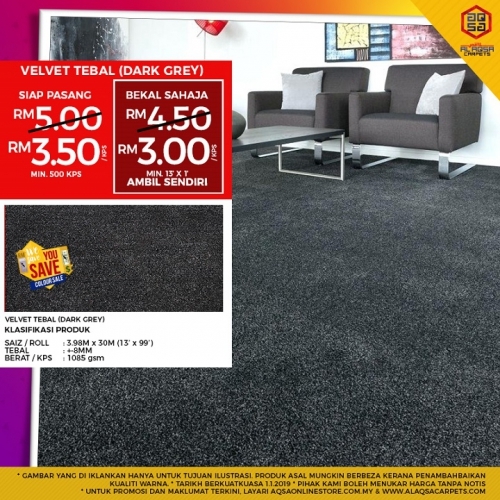 Our #WESAVEYOUSAVE Sale For Thick Velvet Dark Grey Carpet & Thick Velvet Red Carpet will give you the look you want!